03) Where Do You Think You're Going? 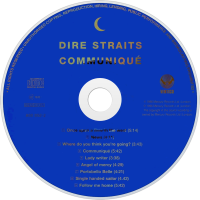 Rushed out less than nine months after the surprise success of Dire Straits' self-titled debut album, the group's sophomore effort, Communiqué, seemed little more than a carbon copy of its predecessor with less compelling material. 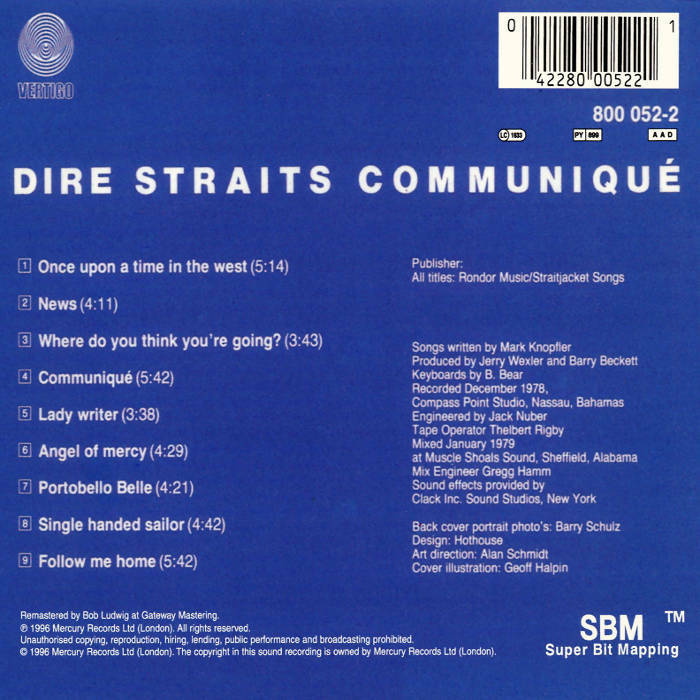 Mark Knopfler and co. had established a sound (derived largely from J.J. Cale) of laid-back shuffles and intricate, bluesy guitar playing, and Communiqué provided more examples of it. But there was no track as focused as "Sultans of Swing," even if "Lady Writer" (a lesser singles chart entry on both sides of the Atlantic) nearly duplicated its sound. 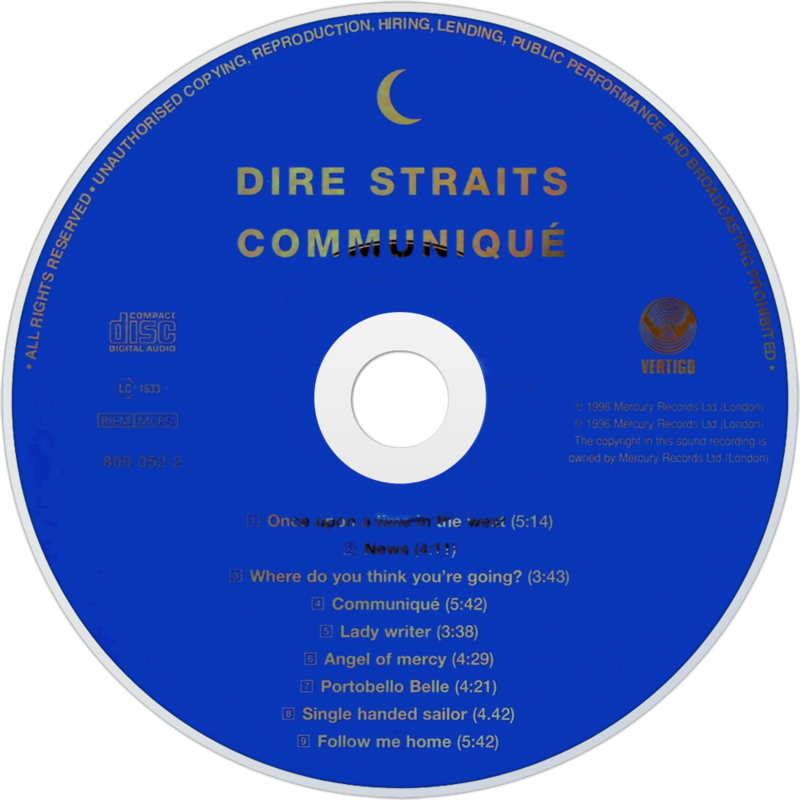 As a result, Communiqué sold immediately to Dire Straits' established audience, but no more, and it did not fare as well critically as its predecessor or its follow-up.